Niassa National Reserve (NNR) is Mozambique’s largest protected area (PA) covering 42’300 km2, and contains Mozambique’s largest populations of elephants, lions, and wild dogs. Niassa’s elephants continue to be threatened by poaching for the illegal ivory trade. 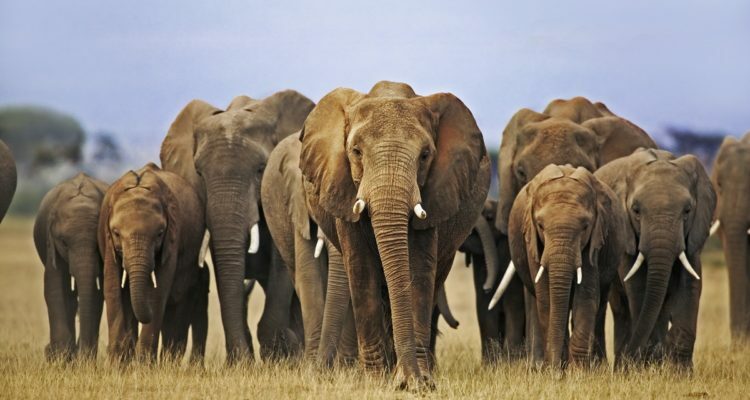 Recent estimates suggest that as few as 1’500 elephants remain. This project, implemented by WCS, aims at ramping up the elephant protection by increasing ranger patrols and deploying 40 satellite radio collars so that 3-5% of the remaining population can be tracked continuously. Collared elephant locations will be monitored daily by both NNR and partner organisations, and this information will be used to coordinate protection efforts, including two NNR rapid response units that can be deployed within 30-minutes notice. To apply 40 collars, the WCS fixed-wing aircraft will be used to locate herds, trained vets will sedate target elephants from a helicopter, and then land to secure the collars. Closer monitoring of a significantly greater proportion of the elephant herds is expected to greatly improve protection efforts.